Welcome to Seven Sea Street Inn! If ever there was a place for a true bed and breakfast experience, it’s Nantucket. And if ever there was a place to enjoy true island hospitality, it’s Seven Sea Street Inn. Welcome to your year-round island-vacation home in a quintessential New England seaside town: where the sight of sailboats on the water is as common as seagulls in the sky, where seals play in season and whales mark their nearby migration with joyous plumes of water from the sea, where nature reigns supreme, and the only constant is the charm and welcome of the people you meet on the streets. Our inviting inn is tucked into the quiet, tree-lined side streets just north of Main Street. Here you’ll find warm hospitality with exceptional comfort, service and amenities that only a classic bed and breakfast can offer. Escape the mundane, conventional chain hotels. 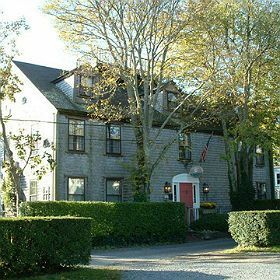 With eleven relaxing guestrooms dressed in the “cottage chic” decor so fitting to this home’s Colonial post-and-beam architectural style, Seven Sea Street Inn offers seaside ambiance, cozy accommodations, on-site concierge services and delicious morning meals, all at an exceptional value. We welcome visitors as family and returning guests as best friends, so come experience your new favorite home-away-from-home at Seven Sea Street Inn!